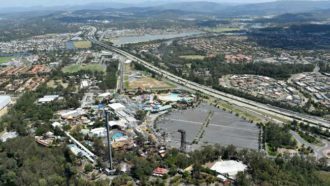 Gold Coast’s theme parks could soon be surrounded by a sprawling precinct of hotels and resorts. Yesterday, the Gold Coast Council’s planning committee has given preliminary approval to Gordon Corp to build three 15-storey towers that will include tourist and short-term accommodation, shops and restaurants. The proposal is endorsed by the full council next Wednesday. 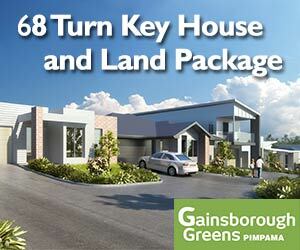 The project will be located opposite Dreamworld, on Beattie Road, Coomera. According to Councillor Cameron Caldwell, the Gordon Crop project signals a potential trend where families go north to the coast’s theme parks to holiday rather than take a trip to Surfer’s Paradise or Broadbeach. The Gordon Corp proposal will likely mobilise this trend as the project will provide convenience to those who wish to enjoy the theme parks and indoor sports centres in and around the precinct without having to travel up each day. Meanwhile, Movie World in nearby Oxenford has also submitted a proposal for a 9-storey hotel, golf resort and lakeside precinct.